« An ode to new tools. 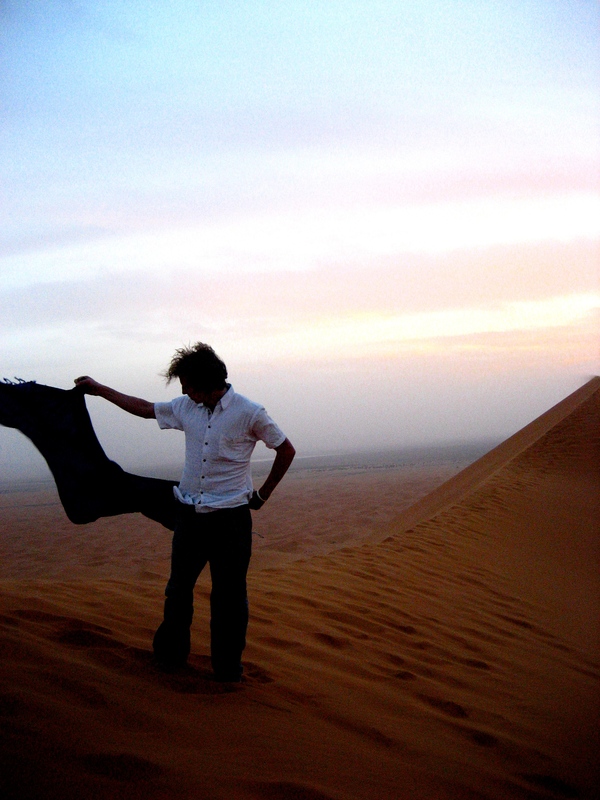 My friend Andrew in Morocco, April 2007. In addition to marveling in my acquisition of a few new tools, I’ve just stumbled upon the beauty of rediscovering old views. Case in point: A project I’m working on involves dragging out old hard drives and sifting through photographs I took three years ago while studying abroad in Europe. It was 2007 and I’d never picked up an SLR camera; didn’t even know how to spell the word aperture and had only the vaguest idea that a slow shutter speed might make things blurry. But armed with my tiny point and shoot camera I ran around that continent with the widest eyes in the world, just absolutely fascinated by what I could capture, by how I could manipulate the camera. I could never go back to just shooting with that tiny camera. But in sifting through these photos I find this old way of seeing things — this innocence — something I can take and incorporate into the work I’m doing now.